A fitness trainer leads people in exercise and related activities. He and She work with individuals or groups, providing both instruction and motivation. A fitness trainer may specialize in Aerobics, Weight Lifting, Yoga, Body Building, Weight Loss, Weight Gain, All Supplement, Nutrition - Diet Planer and another activity. Certified by - Diploma Bodybuilding Training. Coach Balwinder Singh. 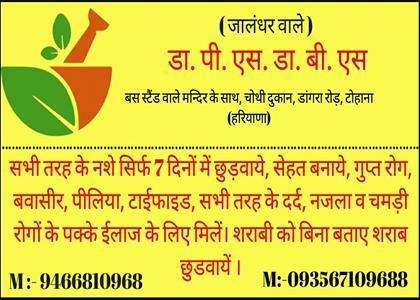 Near K. M. Saraswati School, Dangra Road, Tohana, Haryana. Aerobic exercise is any type of cardiovascular conditioning. It can include activities like brisk walking, swimming, running, or cycling. Best Supplements Shop in Tohana. What can cause rapid weight gain? How do you gain weight if you're skinny? How can I increase my weight in one month? Best Gym in Tohana, Best Fitness Trainer in Tohana. B.S. Health Club and Fitness Centre in Tohana. Coach Balwinder Singh Midda Secretary Haryana I.B.F.F. Global India. Balwinder Singh achievement Mr. Haryana, Mr. Chandigarh. Best Fitness Trainer in India. Balwinder Sir best Motivation for his students. I have really inspired him. Timings - For Gents 5 A.M. to 9 A.M. 4 P.M. to 9 P.M. For Ladies 9 A.M. to 3 P.M.
Spl. Training Fitness Trainer, Body Building, Weight Loss, Weight Gain Power Lifting, Fitness Modal. Nutrition Diet Planner. B.S.Health Club and Fitness Centre MD Mr Balwinder Singh ( Midda ) Secretary Haryana I.B.F.F. Global India.